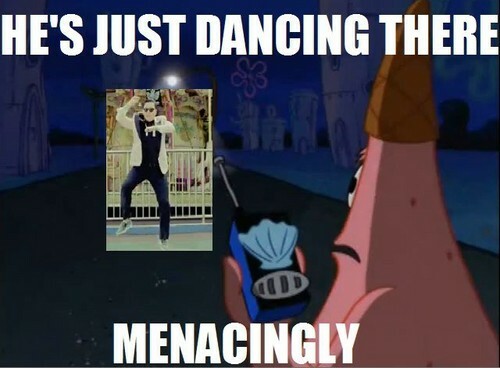 Patrick and PSY. . Wallpaper and background images in the Random club tagged: random funny lol image spongebob patrick psy. This Random photo contains anime, grappig boek, manga, cartoon, and stripboek. There might also be teken, poster, tekst, bord, and schoolbord.